A pex pipe is indeed a breakthrough for hot and cold water plumbing systems. PEX is actually cross-linked polyethylene (PE-X), forming a network of connected molecules. It forms a material that can withstand high temperatures and is exceptionally durable. When installing pipes for a place, plumbers need to take a decision. Quite a few materials are available for use, one of which is pex piping. In 1970s pex pipes were introduced in Europe, Pex pipes were first introduced to the United States in 1980. Pex pipe is a flexible plastic pipe available in various diameters. There are different varieties of fittings that are available in the market. The pex pipe and the fittings are easy to install. The installation requires the use of a particular Pex ring crimper, which is quite expensive to buy but can easily be rented, provided they are available for rent. 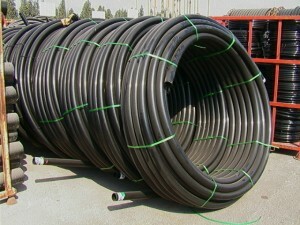 One can use Pex in long runs without the requirement for in-line connectors, as it can be procured up to 500 meter coils. They are flexible and require fewer joints, thus resulting in less leaks. Installation, however is quick enough. Pex resists scale build up and loss of heat. Pex can be easily connected to copper pipes too. Pex pipe systems are not expensive yet stronger than PVC and can be installed very fast requiring almost half the time needed for an iron heating system. Pex is a convenient material to install, and the time required for installing is much lower than the time required for installing iron pipe joints. It has become quite time tested by now. Pex pipe systems are not expensive yet stronger than PVC and can be installed very fast requiring almost half the time needed for an iron heating system. A pex pipe lasts longer than iron pipes without replacements. Money is saved too with its installation compared to iron pipes. Since the introduction of cross-linked polythene pipe (PEX) into the residual plumbing market, copper tubing has also gradually lost its popularity The pex piping systems must be mounted beneath the floors or into the walls. The use of a PEX manifold also reduces the amount of fittings needed, thereby reducing the probability of water leakage. This is a problem of the PEX tubing. When a problem arises with the piping system, the walls or floor surfaces have to be broken to be able to mend the water line. Finally, it is left to the customers whether they want them or not.